Southease Church is not what it was! At one time it was larger with an extended chancel and probably two aisles or transepts. 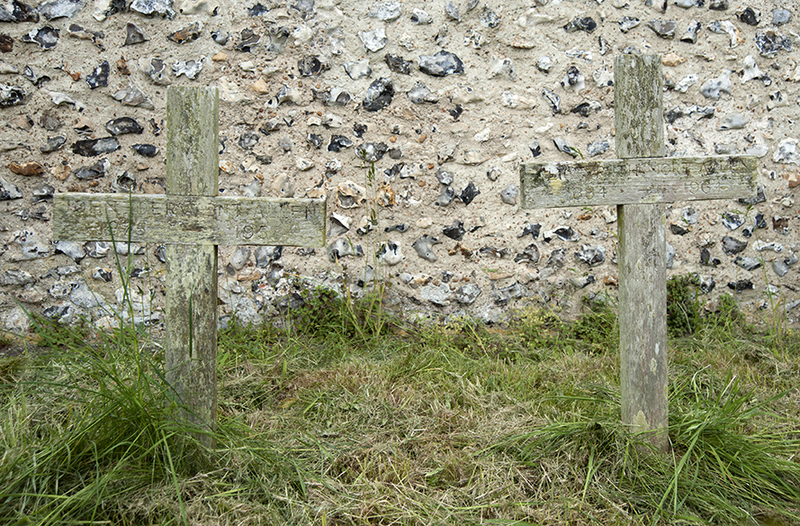 Both were demolished, perhaps at the time of the Black Death. The result is one of the charming features of the building: a new chancel at the east end of the church by constructing a wooden rood screen later replaced by the wood and plaster arch you see today. 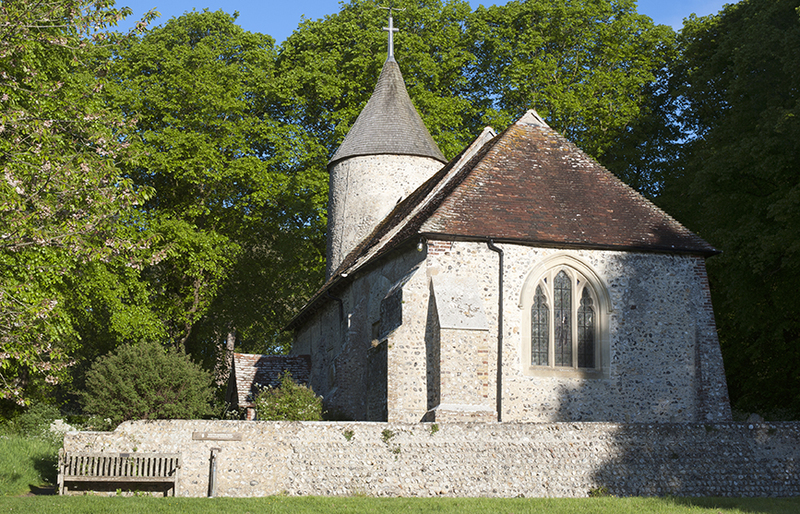 At the other end of the church there is a round tower, one of only three in Sussex, the others being at neighbouring Piddinghoe and at St Michael's in Lewes. We know there has been a church at Southease for over a thousand years: in 966 King Edgar granted the church to Hyde Abbey in Winchester. The original charter is in the British Museum and a copy is on display near the door; Southease must have been quite a flourishing church and village with a thriving herring fishing industry, recorded in the Doomsday book as being one of the largest in the area. In the church you can see Norman windows, a 14th century door, a 16th century porch, an Elizabethan altar table, and Jacobean altar rail, pulpit and pews. The tower houses two bells, one dated 1280 and is the third oldest in Sussex. The important remains of early 13th century wall paintings on the north and west walls were uncovered in 1934-35 and are now less distinct than when first revealed. The fragments on the chancel arch are from a century later. The organ was built around 1790 and is a fine example of an 18th century chamber organ. There are only a few small organs of this type still in existence. Each century and generation has added or adapted the building; Victorian pews were replaced by the current pews designed and made in oak in 1984 by local sculptor John Skelton who also designed the altar cross and candlesticks. The stained glass in the lancet in the North wall was designed by Margaret Thompson (1990) and a wood carving fragment of the crucifixion by Tom Hall donated in 1992. Caring for and maintaining this ancient Grade 1 listed building is an ongoing responsibility for the Parochial church council and residents of Southease. The two 13th century bells were re-hung as part of an extensive restoration programme in 2000. A £60,000 project including renewed and improved lighting and heating and replacing the tower roof/shingles was completed in May 2009. A church building is not static but a living expression of the faith and life of its congregation and community. Please help us to maintain the fabric of this beautiful historic building.